Following the success of the first Ebbe Nielsen Challenge (won by the entry “GBIF dataset metrics” created by Peter Desmet, Bart Aelterman & Nicolas Noé from Belgium) we have launched a second Challenge. 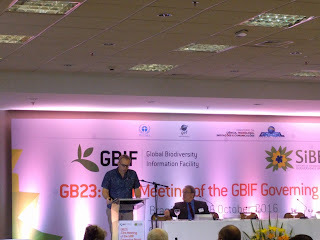 This time the challenge is focused on addressing the issue of “gaps and biases in primary biodiversity data”, a topic flagged as being important in the Science Committee report presented at GB 22. See the challenge website.